A Head of Government in Europe has stepped out in disgrace. Spain is in crisis after the turmoil over sub-regional jingoism in Catalonia some months ago. 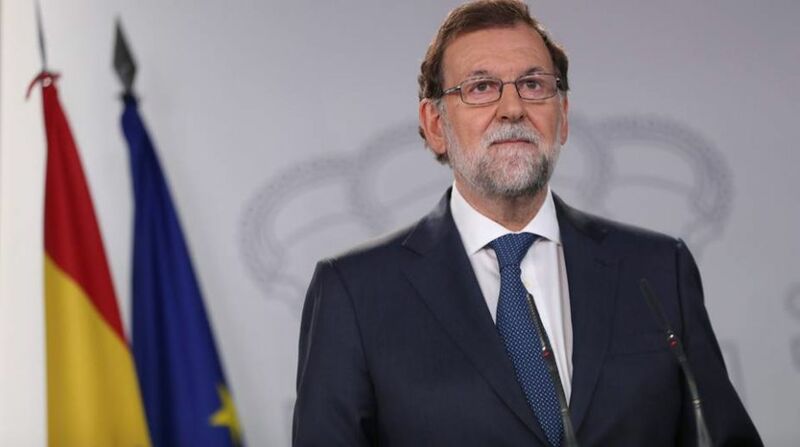 Mariano Rajoy, who was till last Friday known as the great survivor of Spanish politics, has been moved out as Prime Minister in a vote of no-confidence after several former members of his party were convicted of corruption in a case that has turned out to be a scandal. The striking feature of the transition in a country that is grappling with a parlous economy must be that the socialists will be back at the helm after tabling the motion to oust Rajoy. He will be replaced by Pedro Sánchez, the leader of Spain’s opposition socialist PSOE. It will be a remarkable comeback for Sanchez who had regained his party leadership barely a year ago. The socialist motion won the support of 180 MPs ~ four more than the 176 needed in the 350-seat Parliament. Suffice it to register that the corruption scandal involving Rajoy and his cohorts has reached its nemesis. It is, by any reckoning, a “complex political moment”, as Sanchez acknowledged in his acceptance address. Politically, Spain is on the turn and the new incumbent seems acutely aware of the “pressing social needs” after a bout of austerity under Rajoy’s conservative government. It is a huge responsibility, therefore, both in the economic and political perspectives. Rajoy, who served as premier for seven years, had managed to weather a series of corruption scandals within his People’s Party (PP); but it was the political anger over corruption that eventually did him in. Spain’s highest criminal court found that the party had benefited from an enormous and illegal kickbacks-for-contracts scheme, known as the Gürtel case. Rajoy’s fate was sealed on Thursday afternoon when the Basque Nationalist Party (PNV) joined the anti-austerity Podemos party and the two biggest Catalan pro-independence parties in backing the PSOE motion. Rajoy made a stout defence of his party and government in the parliamentary debate on his leadership, accusing PSOE of opportunism and forgetting about its own corruption scandals. “With what moral authority are you speaking? Are you perhaps Mother Teresa of Calcutta?” he asked. Quite the most charitable construct must be that comparisons are odious. Not wholly unrelated to these developments is that the government in Madrid has given its approval to a “new separatist executive” in Catalonia. Markedly, it does not include jailed or exiled former ministers and paves the way for the central authority to end direct rule in the region. The new Catalan government will be allowed to assume its duties. And when it does, Madrid’s direct rule over the wealthy north-eastern region will automatically be lifted. Friday’s forward movement in Catalonia is, therefore, no less critical than the change of guard in Madrid. This has been reinforced with the swearing-in of a new separatist government.